1. a) Create your own database. c) Insert five records in above created table. d) Verify by displaying data by select statement. 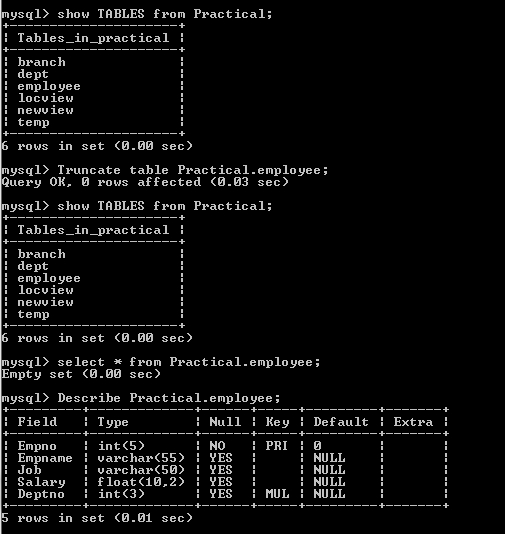 a) Display records of a selected deptno. b) Display the record of selected person. c) Display the record of selected Job. d) Display the records of given selected salary range. e) Display only the selected columns. f) Display by adding some title to the column. 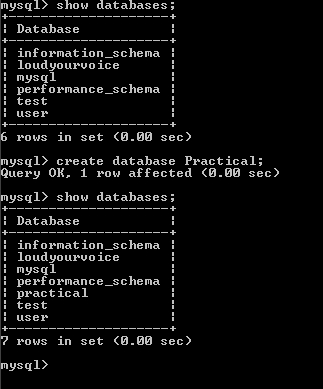 a) Add one more column to table i.e. Phone_no. c) Make the empno. as primary key. d) Insert data in phone field of each each employee by selecting him with empno. deptno, dname and Location with deptno was primary key. Insert records in it keeping in view deptno in employee table. 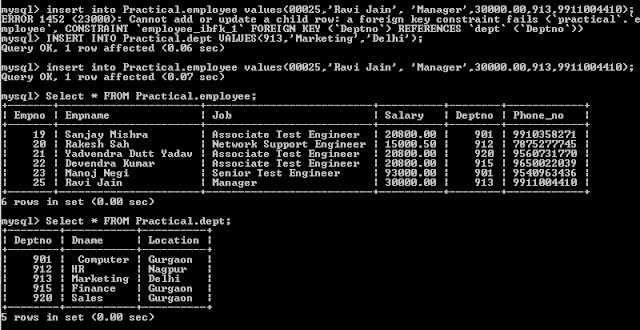 b) Create the relation between employee table and Dept table on the basis of deptno that mean deptno in the employee will be as foreign key in that table. c) Display the available records in dept table. constraints applied in adding deptno. 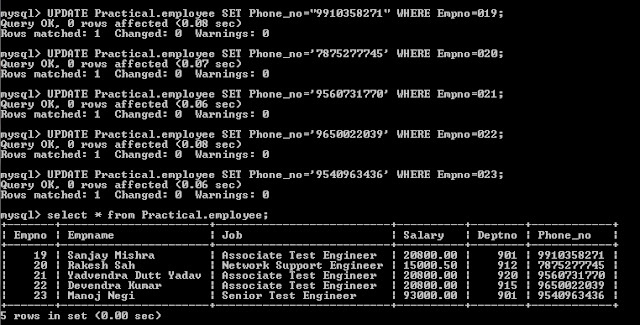 d) Delete some record from employee table and verify the output using select. 6. a) Count the total no of employee. 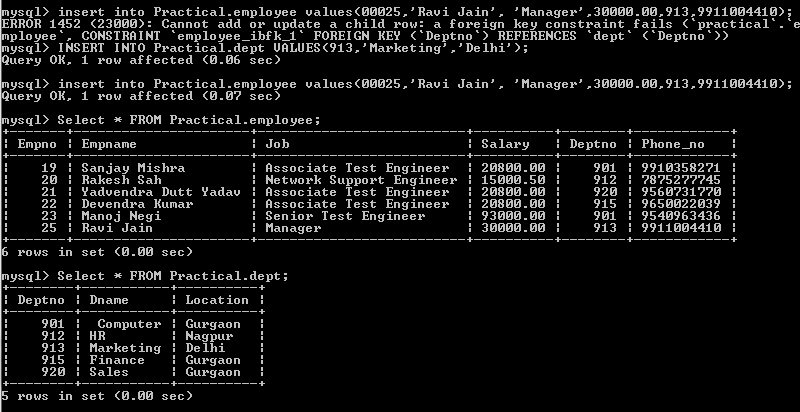 b) Count the sum of salary using employee table. c) Calculate the avg salary of employee. d) Determine the max and min salary of employees. 7. a) Count the no of employees deptt wise using Group by & having clauses. b) Display the some of salaries deptt wise. c) Display avg salary deptt wise. d) Display max and min salary deptt. wise. 8. a) Display emp_no and emp name from employee table alongwith deptt. name from dept table. b) Count employee of employee table by giving department name. c) Display some more lists by using join statement. 9. a) Create table by using sub query statement. Display the records. 10. a) Create view using single table with selected columns. b) Create view using multiple tables using selected columns. 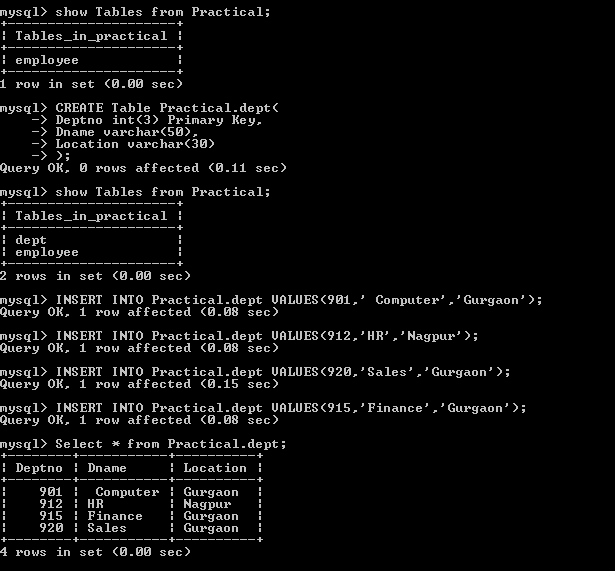 11. a) Delete selected records from table by using some conditions. 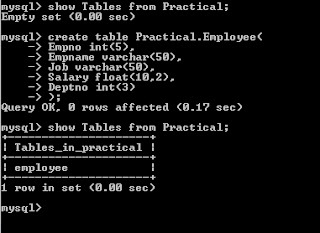 b) Drop column from table. 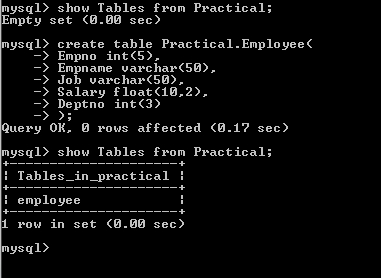 As in Table employee deptno is defined as Foreign Key, so we unable to delete it . 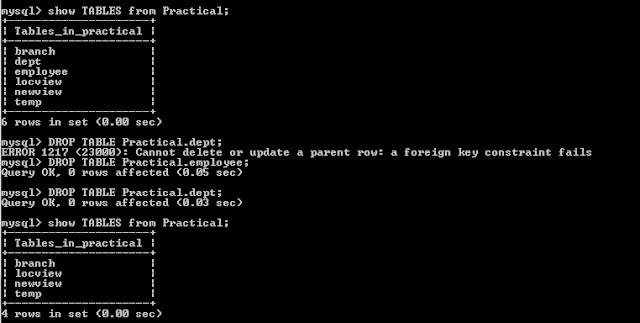 To Delete it first we have to remove table employee key constraint or delete table employe.